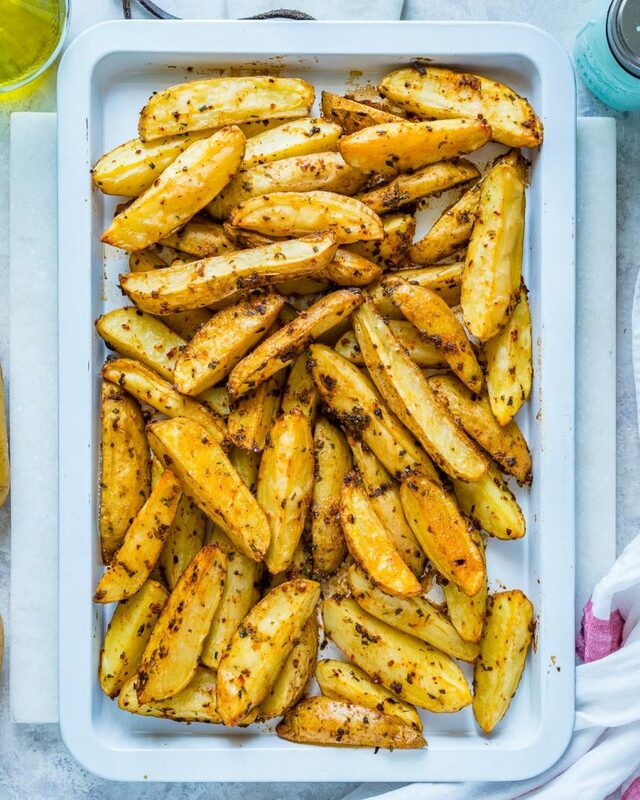 Spicy-Garlicy Baked Potato Wedges are the PERFECT Solution for Fry Lovers! 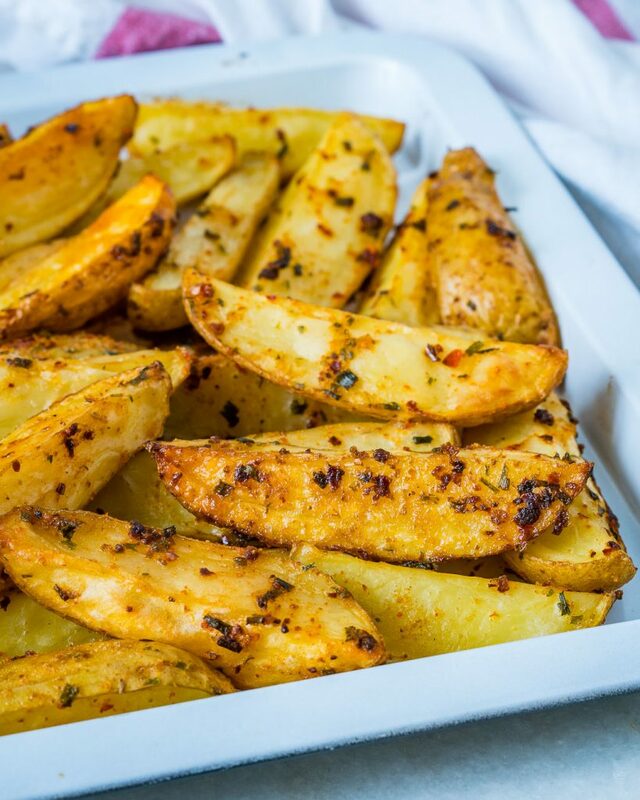 Place the potato wedges in a large bowl and add the oil, spices and seasonings. 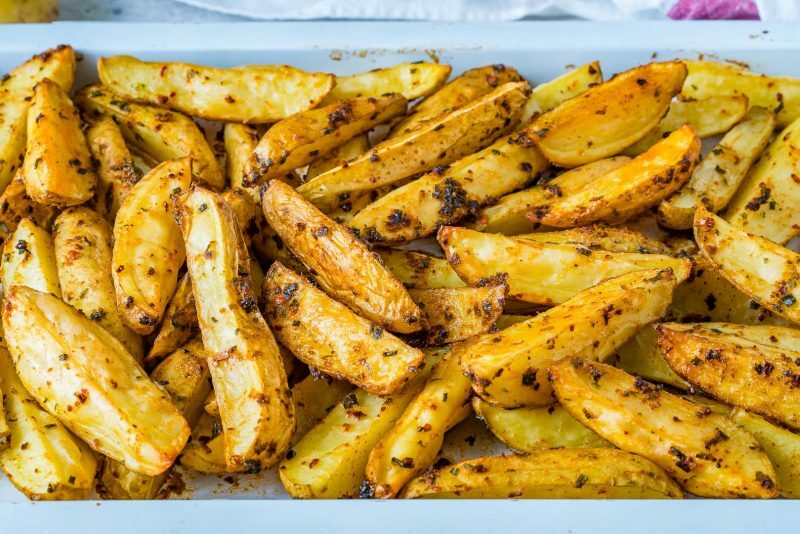 Mix well, ensuring each potato wedge is coated with the herbs and spices. 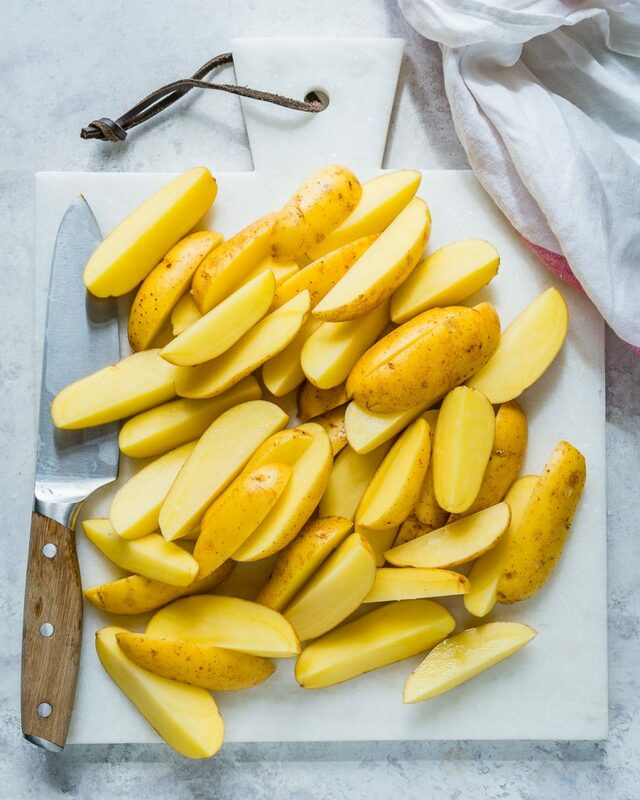 Transfer to a non-stick baking sheet (2 sheets if required to keep it single layer) in a single layer and place in your oven. 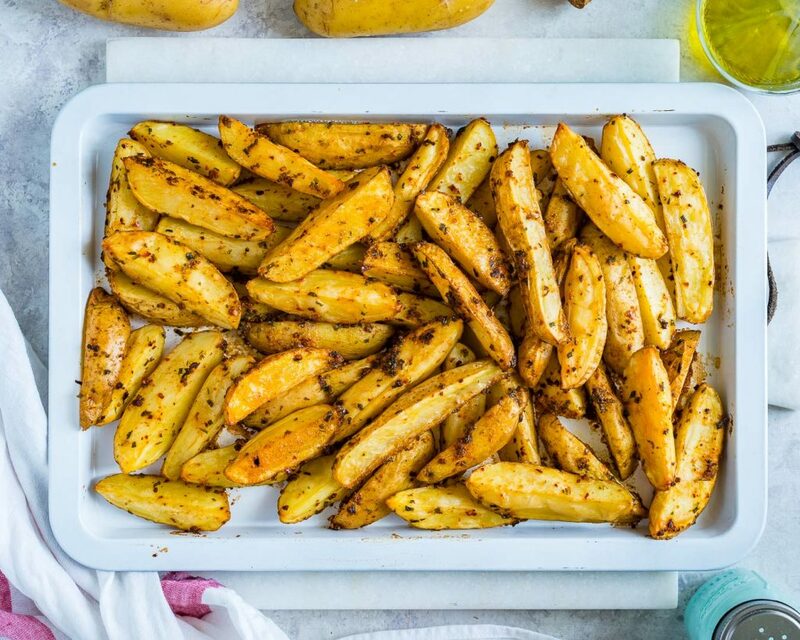 Bake for about 30-35 minutes until the potatoes are cooked through and crispy on the outside, flipping them once, about halfway through cooking time. 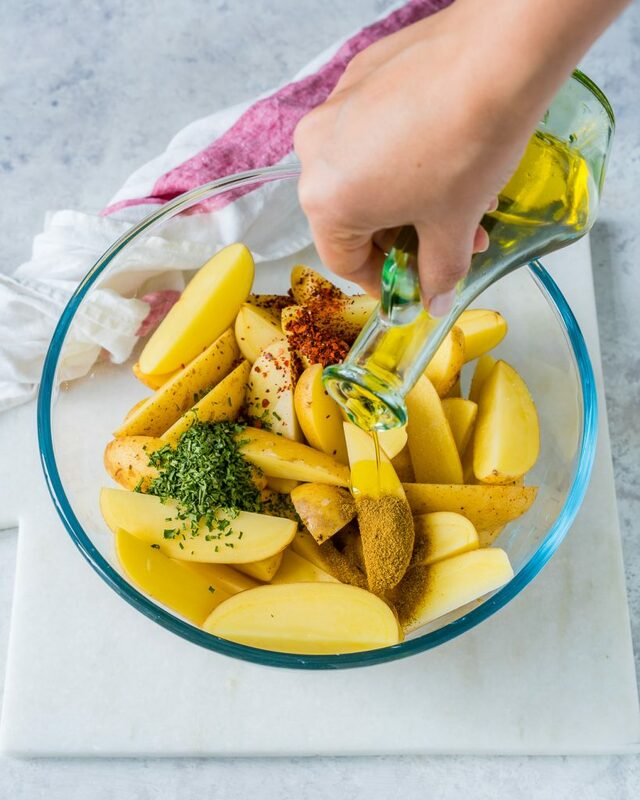 Mix well, ensuring each potato wedge is coated with the herbs andspices.